King Kumbha’s palace complex entrance, Chittorgarh. Fort hall at the left and Jal Mahal on the right, in Rani Padmini’s palace. 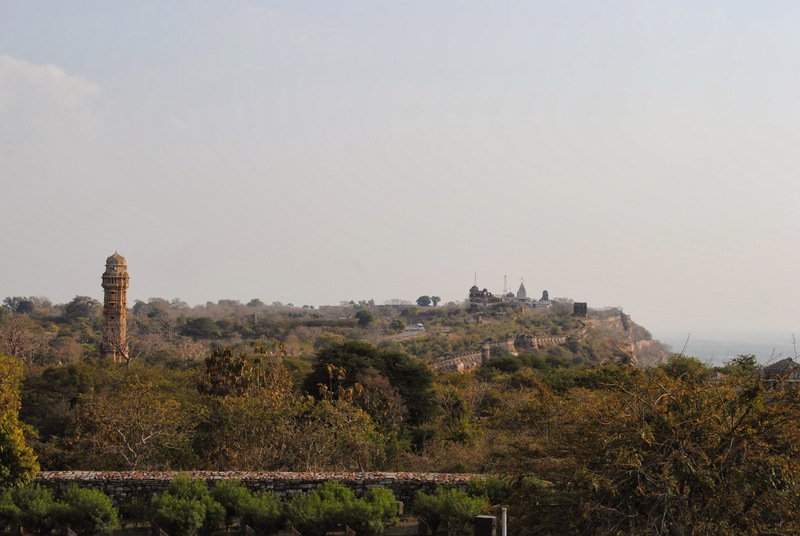 All major buildings of Chittorgarh seen from the palace – Vijay Stambh, Rani Padmini’s palace and Mirabai’s temple. Although the compound of Rani Padmini’s palace was very well maintained (with beautiful flower gardens), the buildings were an anti-climax. Everything was as per the legendary story – the fort hall had mirrors on its walls. 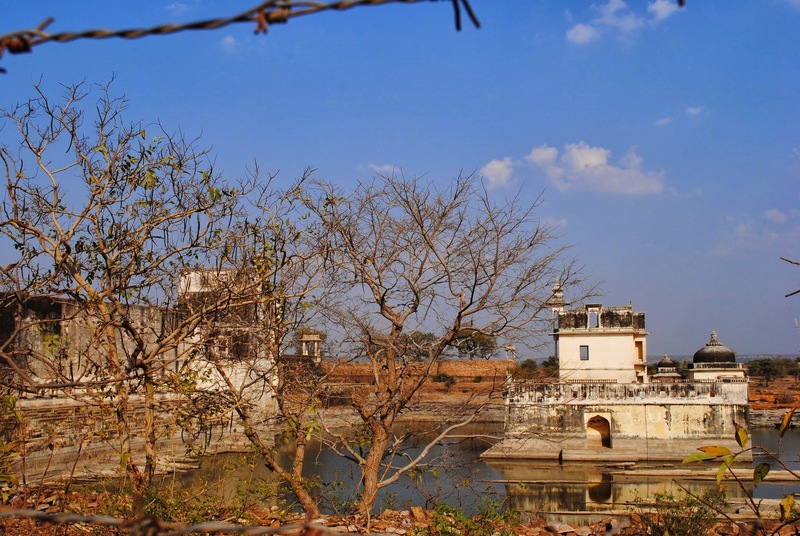 They were positioned in such a way that one could see the entrance steps of the Jal Mahal situated in the middle of a lake. But the sight was unimpressive. The buildings were in ruins with graffiti on the walls. We didn’t even get the feeling of great architecture. We left disappointed. Our next stop was Mirabai’s temple. An ardent devotee of Lord Krishna, Mirabai wrote many bhajans on Krishna and spent all her time singing them melodiously in this very temple. 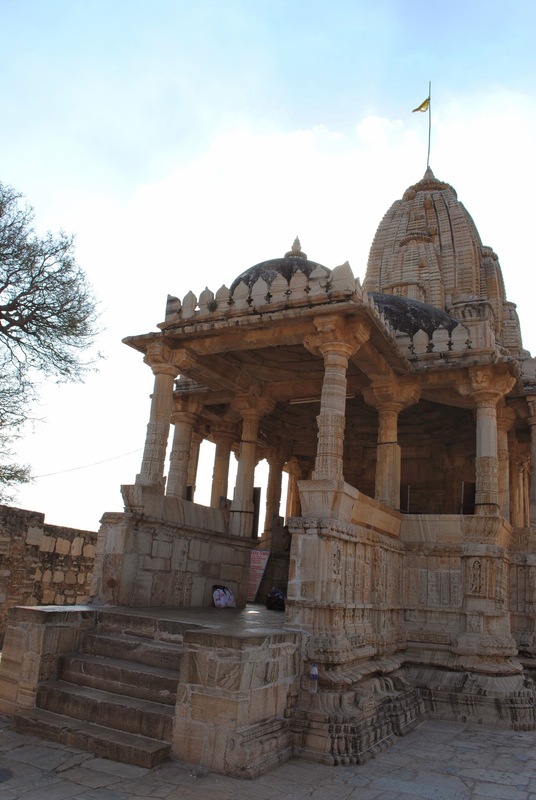 She was married to Rana Kumbha of Mewad who used to live in Chittorgarh. Since the royal family worshipped the Goddess Durga, they didn’t like this kind of devotion to Krishna and harassed her in several ways, including poisoning her. She then left the family and went to Brindavan to worship there. The repentant Kumbha followed her to Brindavan, ensured full support for her devotion to Krishna and got her back. The last place we visited was King Kumbha’s palace. This was extremely beautiful. We probably should have come here first! We roamed inside the palace for more than an hour. A lot of it is still in good shape. 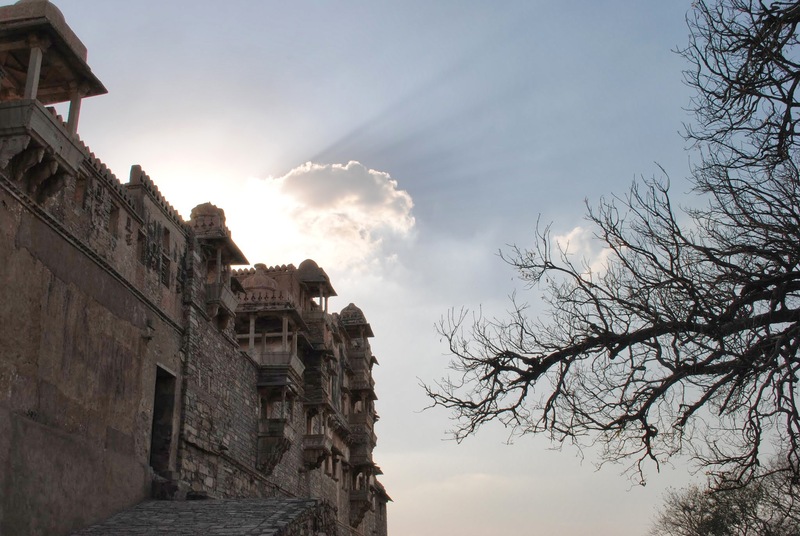 The pictures which show up in most of the advertisements for Chittorgarh are of this palace. 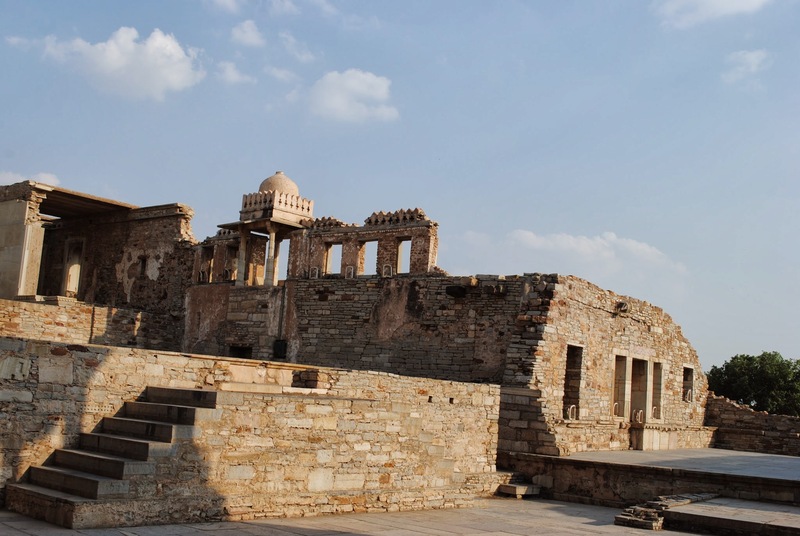 The fort also has walls supposedly created by the Mauryans during 7th century AD. The view from the top was amazing. 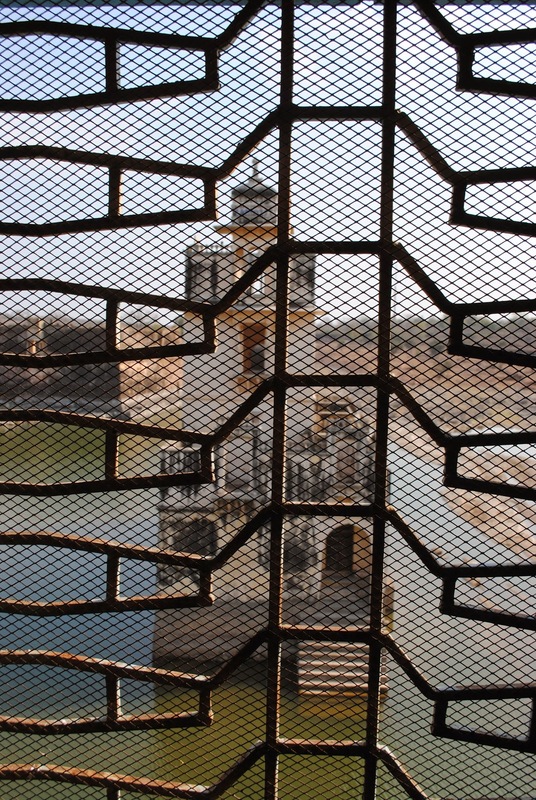 We could see the entire town of Chittorgarh sprawled before our eyes. There was a light and sound show in the evening which tells the entire story of Chittorgarh. But with the setting sun, we knew it was time to return. We headed back to Udaipur, had a simple dinner and while thinking about the day, realized that we had an experience worth sharing. 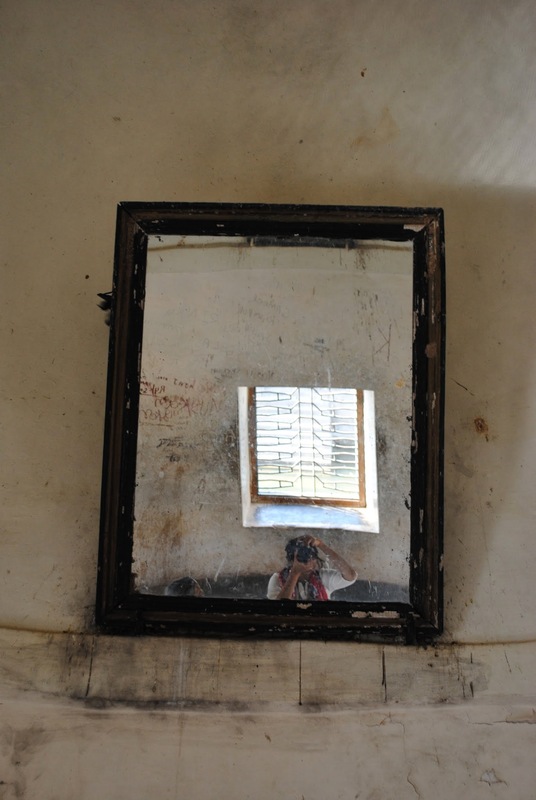 One of the mirrors in the fort hall, Rani Padmini’s palace. Khilji might have used a similar one to have a glimpse of the queen. View of Jal Mahal from the fort hall. 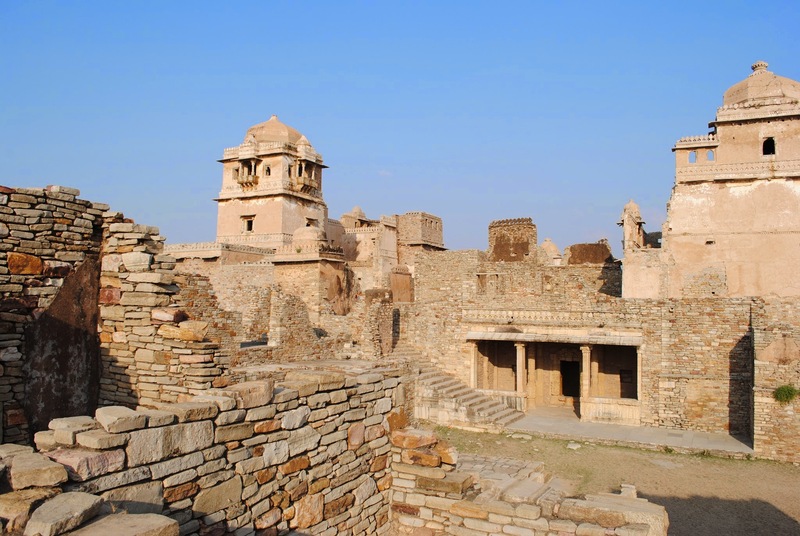 Another view of the buildings, King Kumbha’s palace. Thank you for the beautiful photos and your honest assessment of the sites. As a Vaisnavite in America I love to hear the stories of Lord Vishnu’s incarnations. Thank you Athena for reading my post. 🙂 Glad to know that you liked reading about Mirabai.